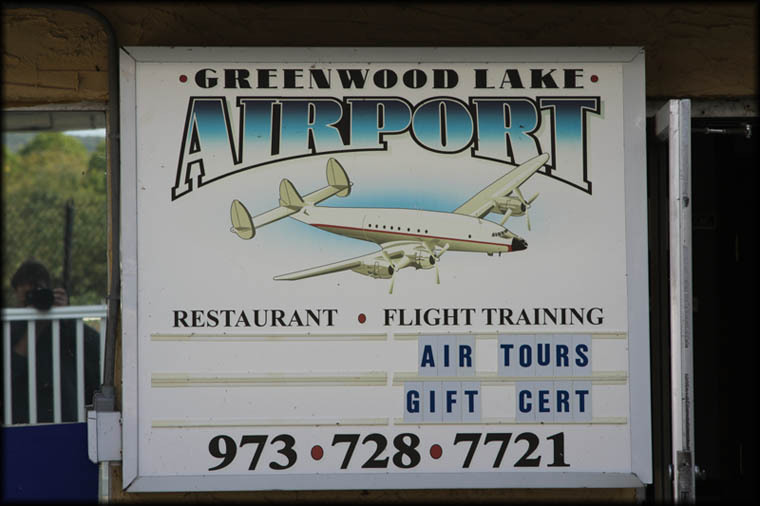 We headed for West Milford, NJ and located ths small airfield, Greenwood Lake Airport, quite easily. 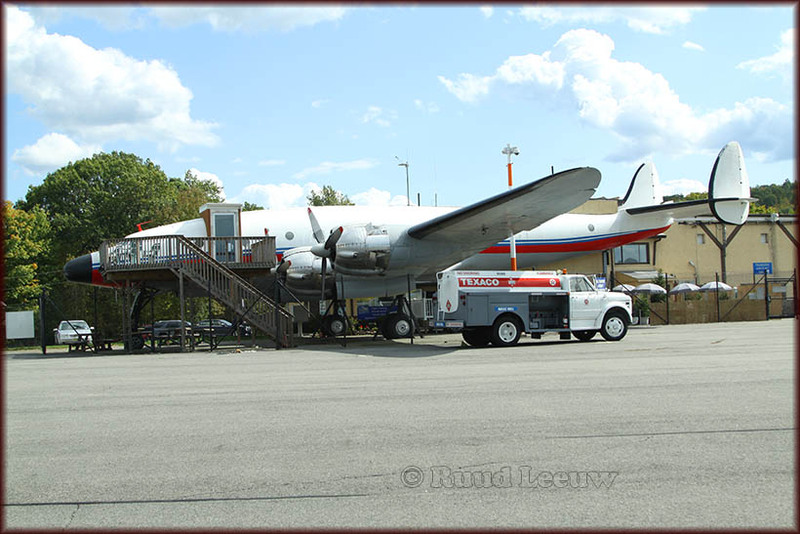 Searching out this Lockheed Constellation had been a wish of mine for a long time and finally I was in the area. 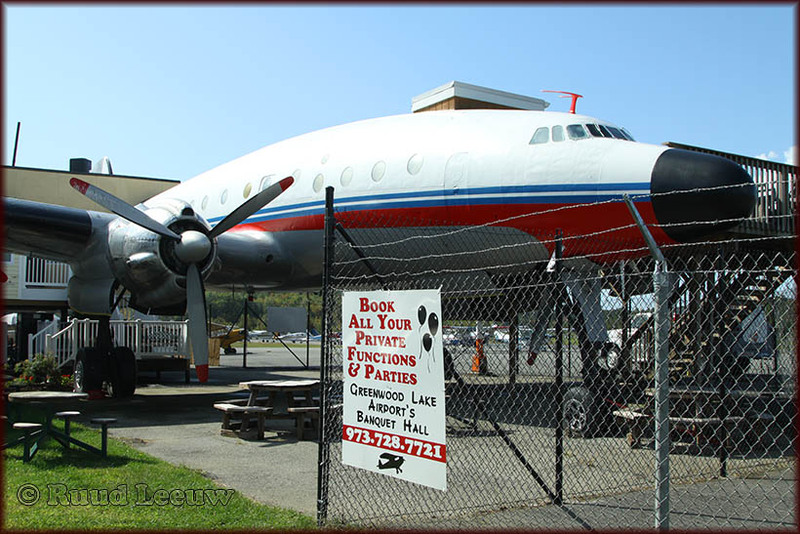 It wasn't just because of the actual airplane, but also about that vanishing tradition of putting large aeroplanes with shopping malls, gasstations and restaurants. 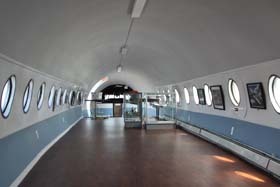 The Constellation is not used to accommodate restaurant guests, it merely draws attention to it. 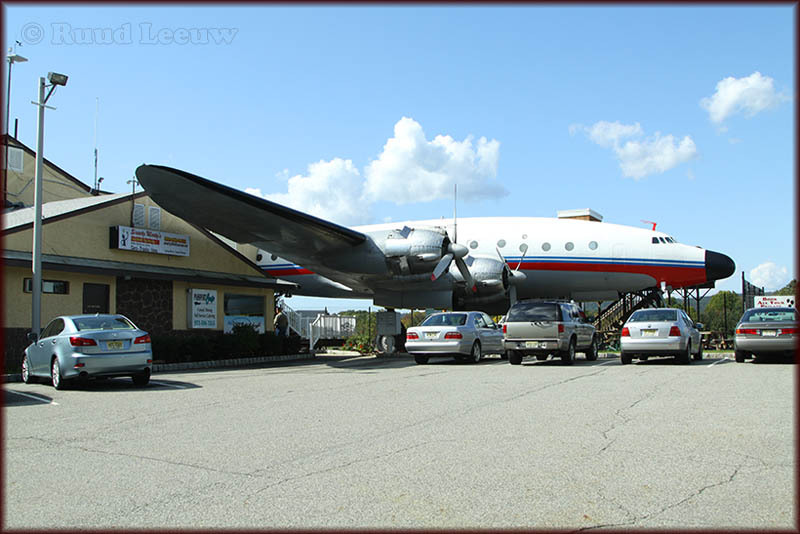 The building to which it is attached is the airport office and, for most part, the restaurant. 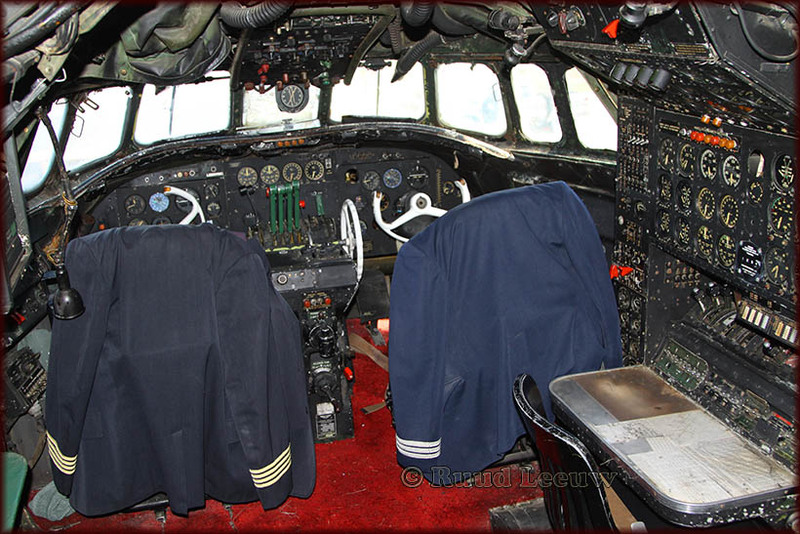 One can walk in the cabin of the 'Connie' and check out the cockpit. 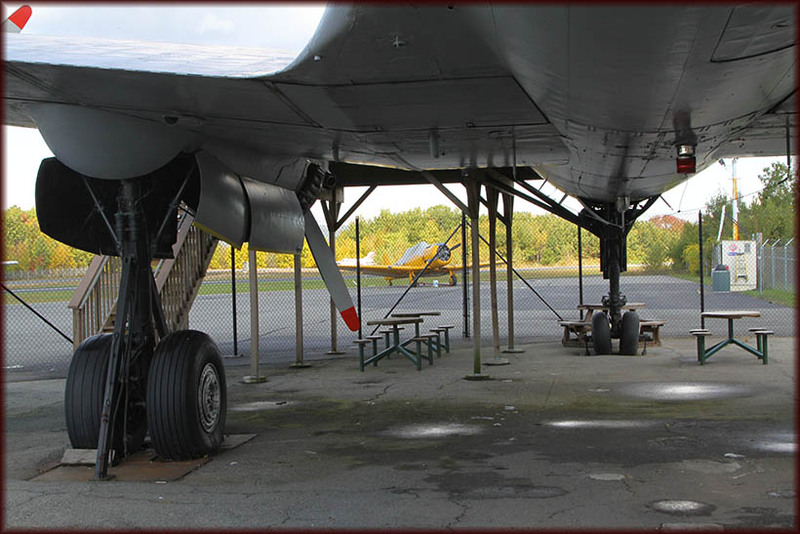 Looks like this Connie is going to be refuelled and depart, but these Wright R-3350 radials are silent forever. The Wright R-3350 Duplex-Cyclone was one of the most powerful radial aircraft engines produced in the United States. It was a twin row, supercharged, air-cooled, radial engine with 18 cylinders. Power ranged from 2,200 to over 3,700 hp (1,640 to 2,760 kW), depending on the model. 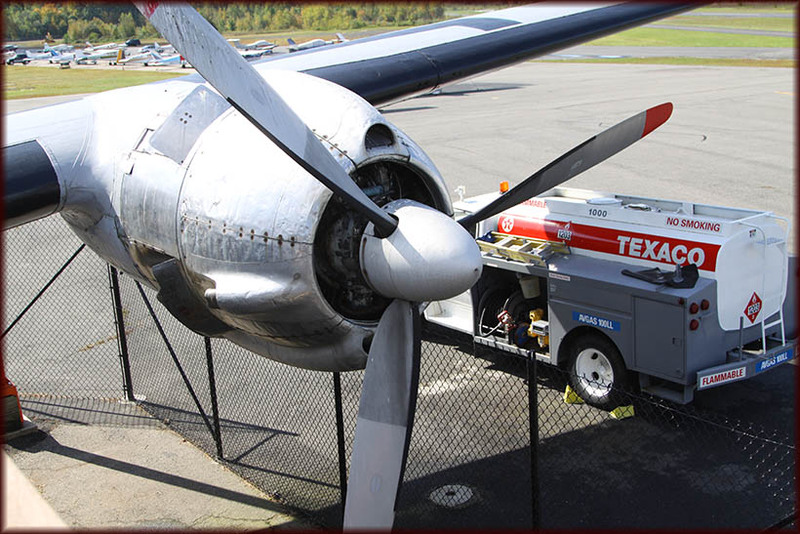 First developed prior to World War II, the R-3350's design required a long time to mature before finally being used to power the B-29 Superfortress. 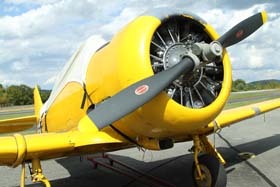 After the war, the engine had matured sufficiently to become a major civilian airliner design, notably in its Turbo-Compound forms. The large propellor blades made it necessary to extand the undercarriage, the fuselage sits at considerable height. 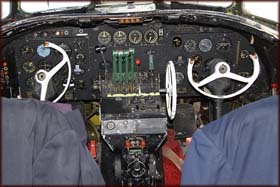 Inquiries into the identity of this aircraft brought the following opinion by Jack Cook on the WIX forum: "Looks like a Harvard IV with gear doors and a cut down exhaust dump. " Having now the proper type identification made it proofed to be easier to search the internet and this brought me a photolink on Air-Britain's Photographic Images Collection, identifying it as N2956 (66-2689)! 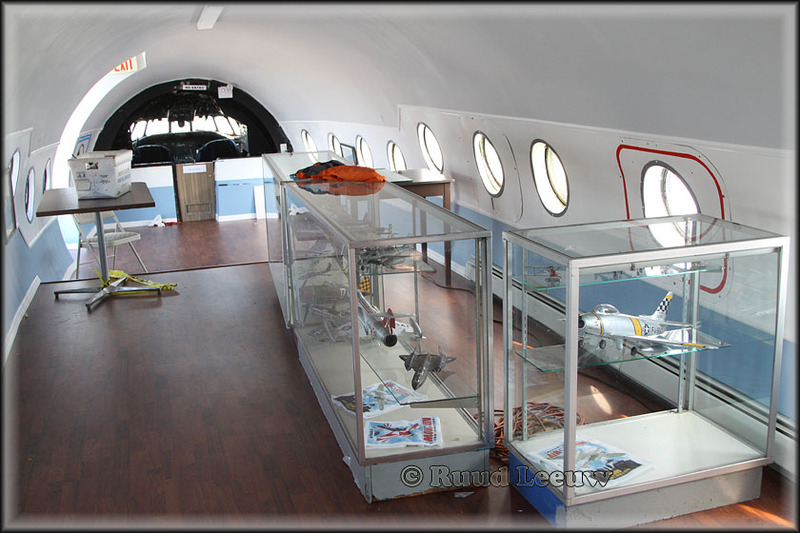 The photo shows the N-number to be on the tailrudder and that is why I could not find it. 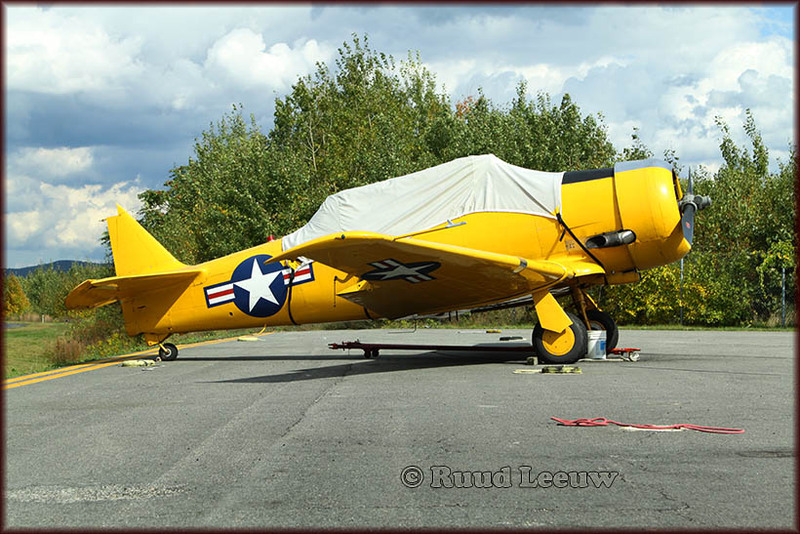 The FAA website N-inquiry provided the following details: North American AT-6C, registered 20Dec1991 to Ronald H. Gertsen of of Kinnelon,NJ. 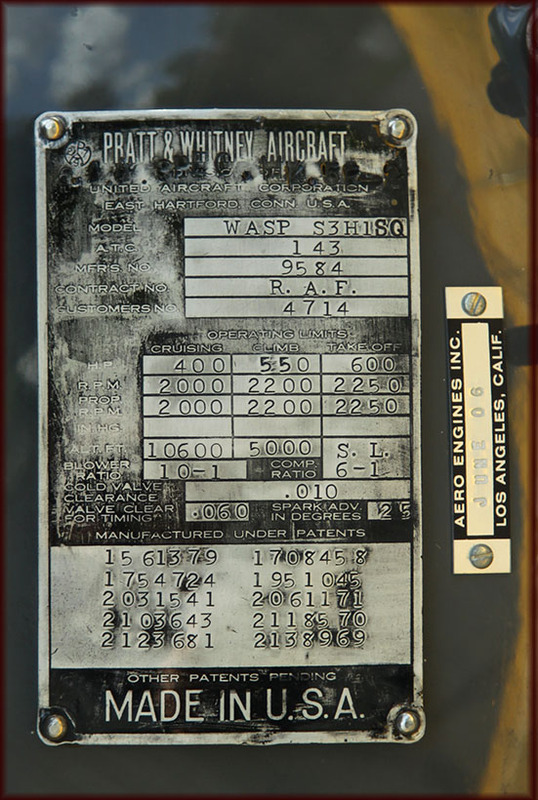 Aircraft serial 66-2689, manufactured 1941, engine P&W1340 series. 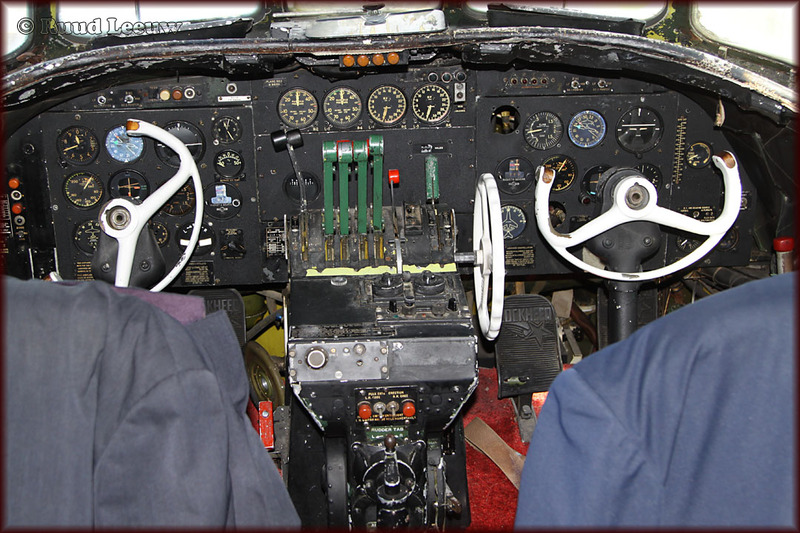 "Have had a quick look at a) Warbirds Directory 2008 CD and b) 'Harvard!' (Fletcher and MacPhail) which appear to agree. Ronald H. Gertsen, Kinnelon NJ 20.12.91/08. b) RCAF 2956. Taken on strength 11.03.41, Struck off Strength 13.09.60. Served 9 SFTS., 41 SFTS., 420 Squadron, Trenton - CADC, CF-SDK. Perhaps worth adding that, as with the photo caption, the above data points the aircraft being a Harvard II rather than the post war Harvard IV." 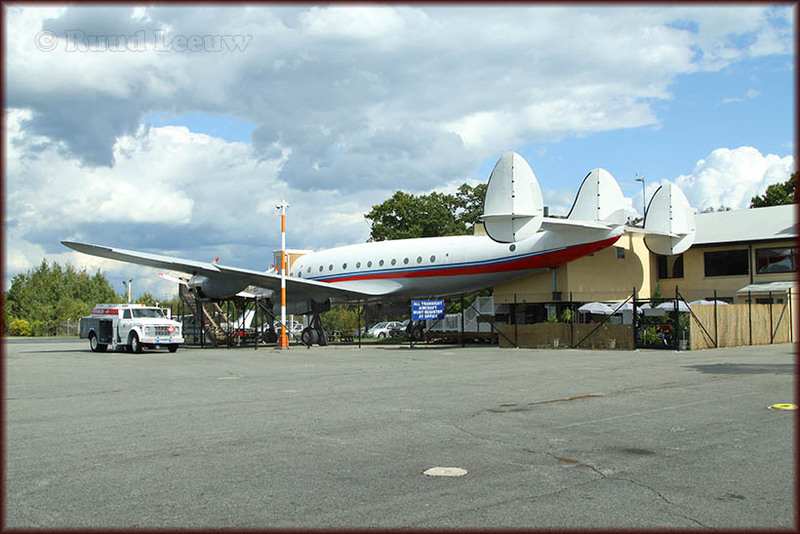 Inquiries to Greenwood Lake Airport by phone about this matter brought evasive response and emails were not replied to. Another look at N9412H, from the ramp. The restaurant can be seen on the right. I had an excellent hamburger, sitting under that remarkable tailsection, in the sun. What more could I wish for?! 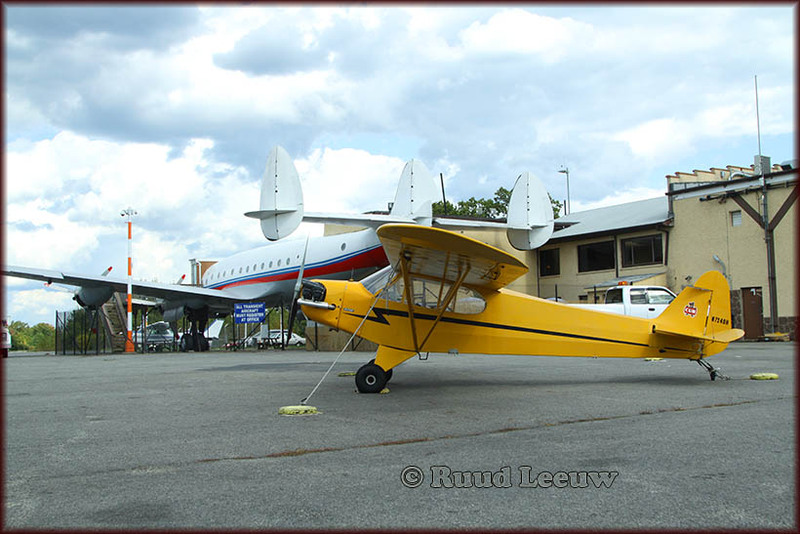 Piper J3C-65 Cub N7240H (c/n 20530) was registered to No Flaps LLC (Newfoundland,NJ) on 11Sep2008. 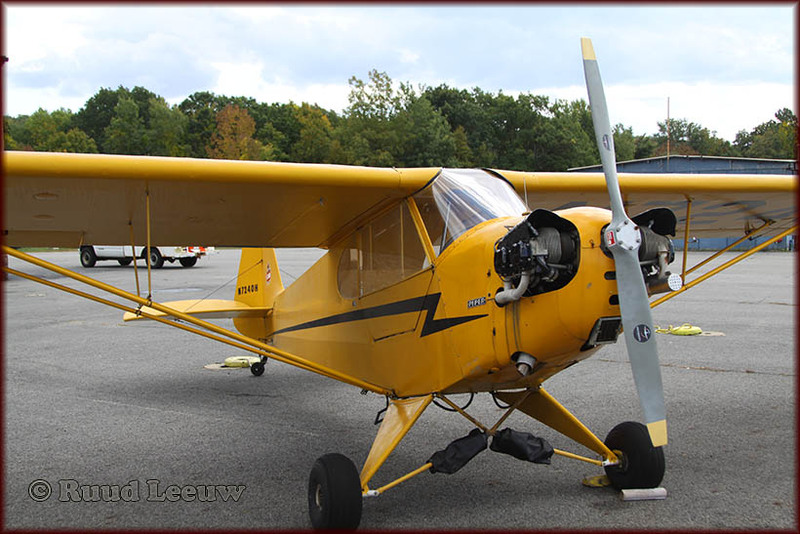 The aircraft's standard yellow paint has come to be known as 'Cub Yellow' or 'Lock Haven Yellow'.